Stevenson Que: Cutout Steve's New Friend! I was exploring what the Private Message Icon is on Instagram when I suddenly saw the list of Message Requests. I saw one with a photo so I clicked it! It was a european man with a photo of Cutout Steve! 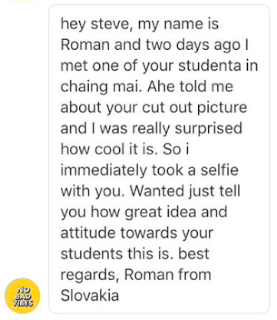 I suddenly remembered the experience that my dear student Therese had when she took Cutout Steve to Chiang Mai in Thailand! She said the tourists are happy when she was taking a photo of my photo and appreciated the idea then a guy talked to her about it and my dear student explained the reason behind it and even shared Cutout Steve's Instagram Account! A month after his message, Only then I saw it! I replied to him already earlier and I really hope it reaches him soon! 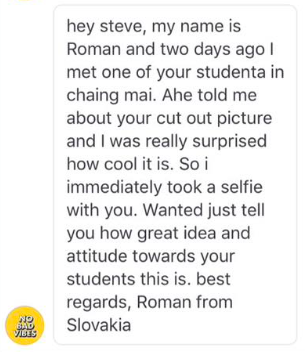 To Roman of Slovakia, Thank you so much and I really appreciate your words about this project. 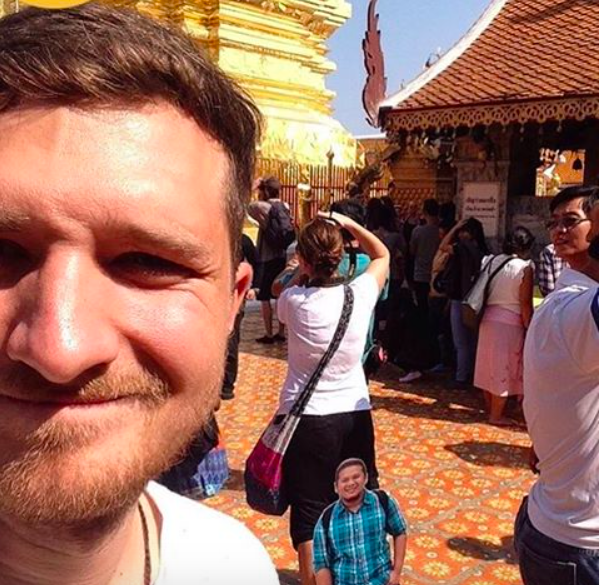 I hope Cutout Steve can also visit your beautiful country. And to my very pretty and smart and sweet student Therese! You have always been the nicest and thank you so much for giving Cutout Steve the honor of having a beautiful Ambassadress! As of now, @cutoutsteve on Instagram has more than 500 Followers from around the world, all thanks to the wonderful people helping me with this simple but very fun project!